The People You Meet... Paul Oakenfold, SoundTrek, Everest & "The Worlds Highest Party"
I’ve got a bit of a reputation for singing off-tune. I’m not picky on the genre – I’ll attempt anything from Bieber to Beegees to Beachboys to Blackbox... (the eclectic list goes on). These outbursts of song take place when I’m happy, when I’m celebrating, or when I’m with friends sharing a mutual joy for a moment, event or tune. I sing most when I’m happy. 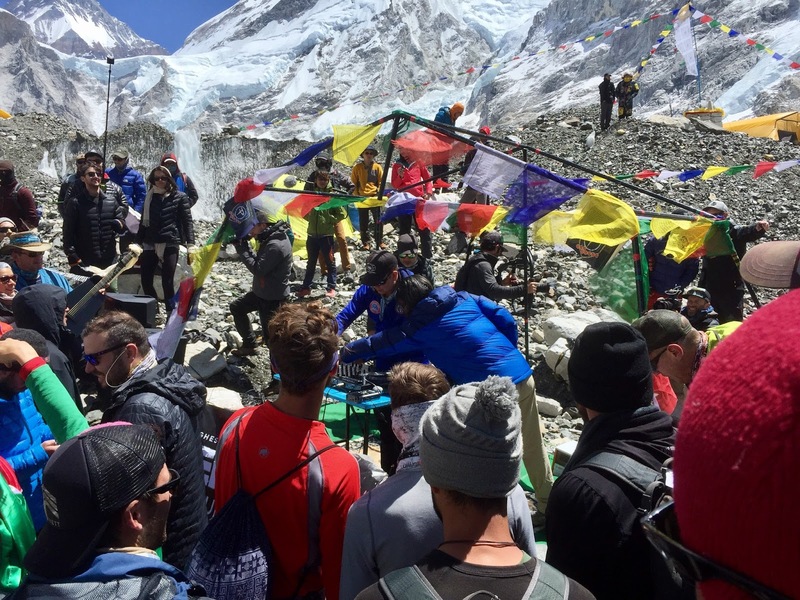 As such, many of these ‘renditions’ have taken place on expedition in the shadow of Mount Everest – specifically at Everest Base Camp. I remember one celebration in particular. It took place in late May 2013, following our teams successful summit of Lhotse & Everest. One of our team members revealed on our final evening in camp that he was actually an Icelandic-born Elvis impersonator. That night he broke out into the dulcet tones of ‘Love Me Tender’ and ‘Blue Suede Shoes’ while the entire team (plus our 30-40 party guests) whole-heartedly joined in song and dance. He was brilliant. It was from the heart, a perfect way to unwind after a stressful few weeks and it was outrageously fun. Exhausted, I remember retiring to my tent around 10.30pm. 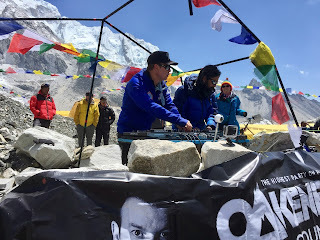 I lay in my sleeping bag with a huge smile on my face as the music continued to waft through the night over Everest Base Camp. An evening celebrated, shoulder to shoulder with our Sherpa team and (vocally!) enjoyed and remembered for the music, smiles, laughter and fun. This April I was fortunate enough to spend a few days at Everest Base Camp early in the Himalayan climbing season. 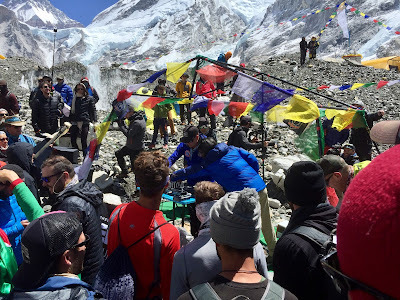 I joined a Sherpa team and I ‘watched and learned’ (in pure awe) as they set up their team basecamp. 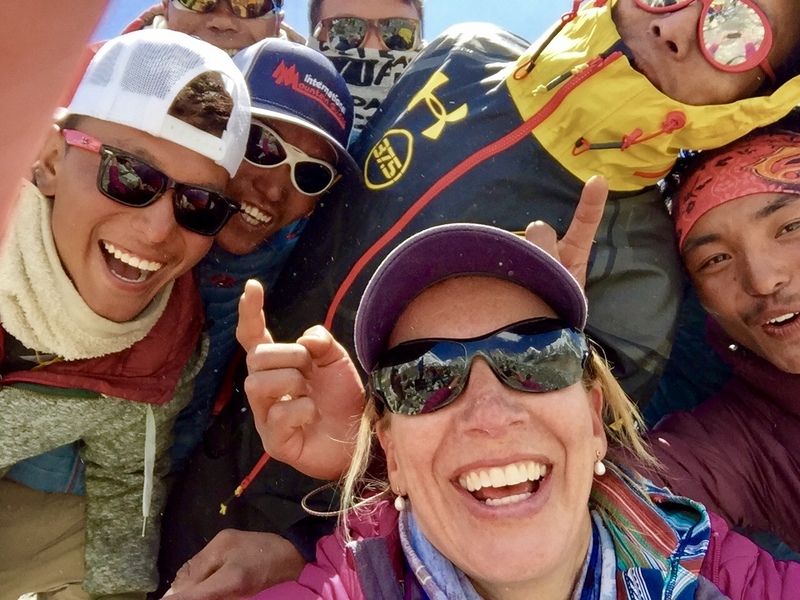 Many of the Sherpas had already been at basecamp for 2 – 3 weeks, building platforms out of the ice, setting up tents, organising food, and ensuring that the relative ‘creature comforts’ were ready for the arrival of the wider teams from mid-April. 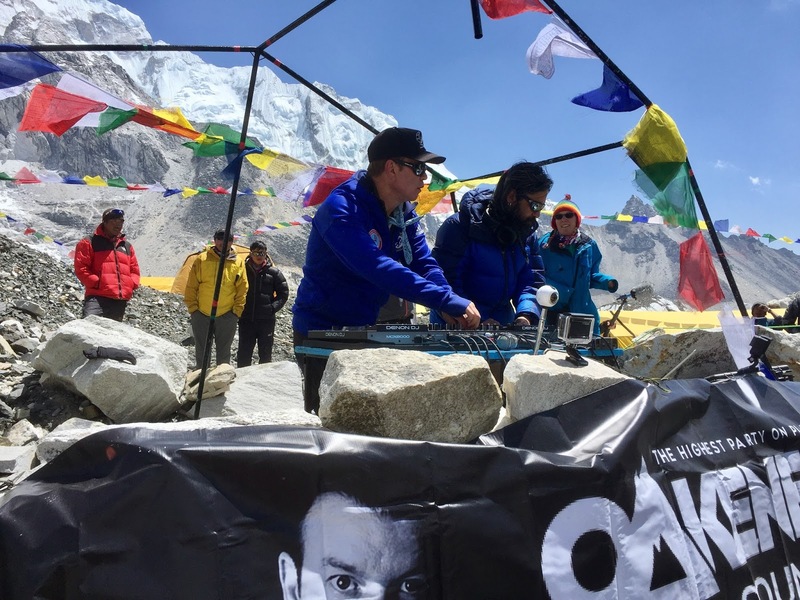 Earlier in the season, whilst trekking into Everest Base Camp I heard about a project called, ‘SoundTrek’ – the unique project of world-famous British DJ Paul Oakenfold and his creative team. Through SoundTrek Paul planed to stage performances in unexpected places around the globe, showcasing music from each locale and highlighting critical issues facing local communities. 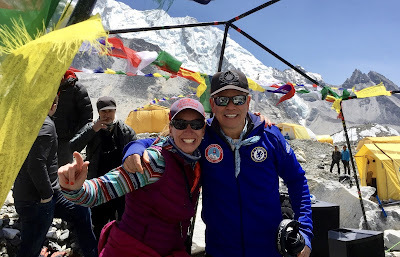 For the past 2 weeks, Paul and his team had been making their way up to Nepal's 17,600ft / 5200m Everest Base Camp under the leadership of professional guide and 12x Everest summiteer Kenton Cool. 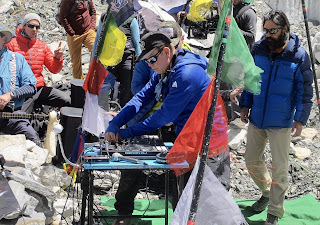 The ultimate vision for the project was for Paul to gain a deeper understanding of the importance of music and dance to the Nepali people, and especially the Sherpas. He would use this to promote the country in his own unique way – e.g. leveraging his talent as an artist and the power of his global brand. I began to follow along on the SoundTrek social media sites (Instagram, Twitter & Facebook). I interacted online as the team collected their Himalayan artefacts of sound, sight, smell, taste and touch and translated this into a visual narrative of their experiences along the trail. This included visits to the Monasteries where Paul and his team listened to local music in an attempt to try and understand what music means to the people, how they make the music and how they move to the music…. It included a visit to the local Lama, plus families and children in several local schools and even participating in a high-altitude game of football. Paul then took these influences and artefacts and begin his creative process – e.g. a digesting, mulling over, infusing, translating, shaping, personalising and translating into a final art - a performance reflecting his world-famous music style infused with strong local influences. The final product - a reflection of his journey from the initial inception of the project through to his arrival at Basecamp - nearly 2 years later. The set took place on 11 April - just as the climbing season ‘formally’ begins. For many Sherpa teams, the work of preparing the camps has nearly reached completion and there is a natural ‘lull’ before the arrival of the client teams. The set began at 11am and ran for 2 hours. 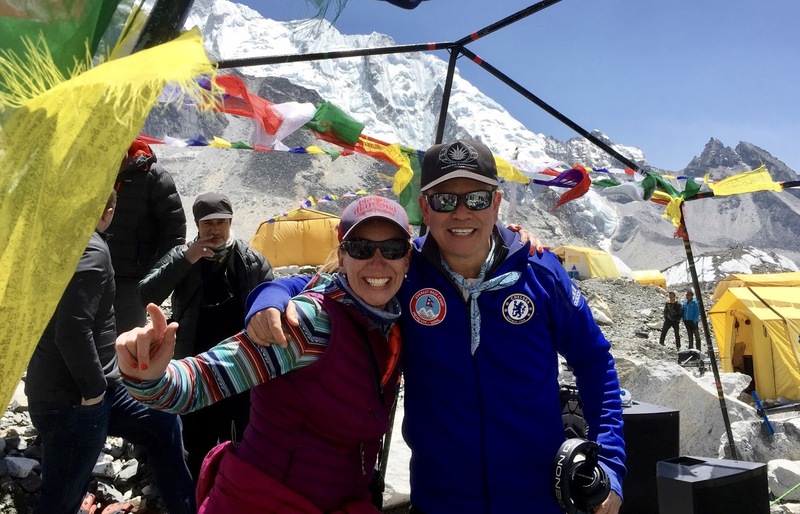 This meant that the trekkers coming to Basecamp could be part of the project as well as those already on Everest preparing the mountain for the climbing season. This is unique in itself as there is little (if any) organised social interaction between the ‘groups’ from early April. The 11am timing was also a natural break in the day for an early lunch break. People had the option to ‘dip in and out’ according to their tastes and timeframes. Some stayed for the full 2-hour set whilst others popped round to see the unique sight of the breathless, down-clad singers and dancers trying to maintain their balance on the small scree stage. Some people partook in hypoxic dancing whilst others simply pulled up a boulder and sat sipping water from Nalgene bottles along natural perimeter of the site. 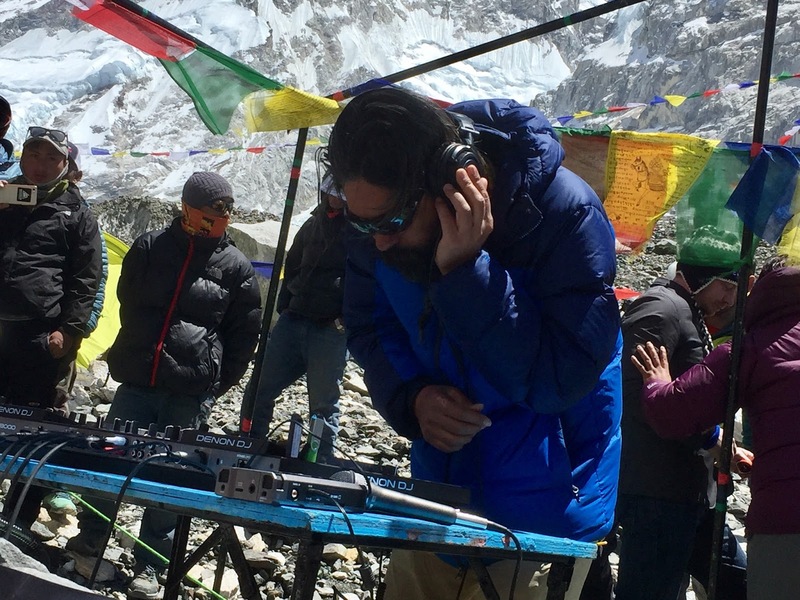 The ‘stage’ was shared with a local Nepali DJ, Ranzen Jha, whom Paul had contacted and mentored along the 2-week trek. The local DJ had never been to the Khumbu so the challenge of getting to basecamp also appealed on a personal level. In many respects, DJ Ranzen mentored Paul as much as Paul mentored DJ Ranzen. This story was also shared through the SoundTrek social media pages. As part of his tour, Paul played gigs in Singapore and in Kathmandu and both times he personally donated his fee to local charities (www.supportingnepalschildren.org.uk). In addition, there is ongoing fundraising for children charities both in Nepal and in the UK. 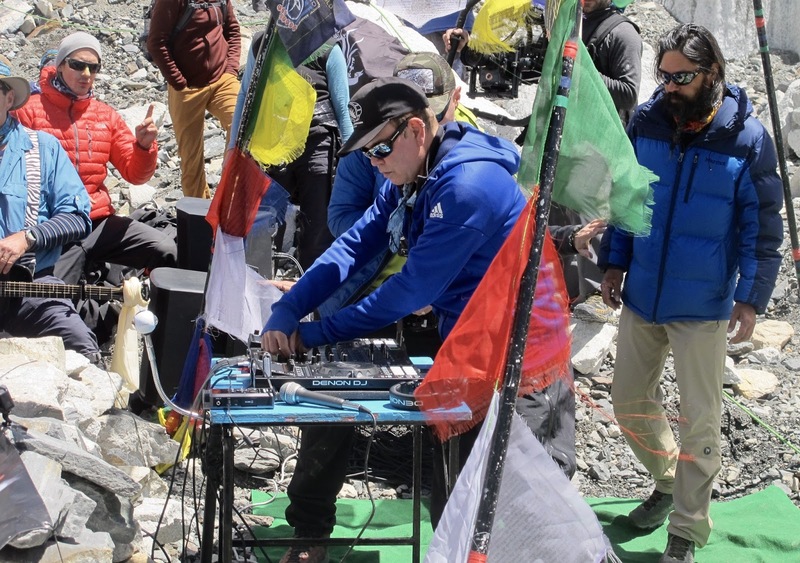 The sound equipment and speakers were being donated to a School in Kathmandu as well as a Bhuddhist Monastery in Thangbouche – often frequented by both locals and foreigners – and also impacted by the devastating 2015 Nepal earthquake. Reflecting on the day itself, it was amazing and inspiring to see equal numbers of Sherpas standing shoulder to shoulder with trekkers from around the world all with big smiles, all dancing or enjoying the beat and the rhythm of the dance in their own unique way. Everyone was on an equal footing having fun and expressing themselves through the power of music and dance. During one song we joined arms in a 30-strong traditional Sherpa ‘line dance’ and together sang out, ‘Aint No Mountain High Enough’. During another memorable moment the traditional sound of yak-bells was layered upon the sound of the wind whistling through the mountains and laced with a slow hypnotic beat. The melodic melange left the audience entranced and reflective. Seeing and experiencing firsthand the shared joy of both local people and its visitors as we danced and celebrated this wonderful country and its culture in such a unique way is something I’ll never forget. Well done and thank you to everyone involved.